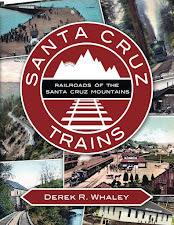 It was two sand quarries that saved a significant portion of the Southern Pacific Railroad's route through the Santa Cruz Mountains in 1940. The northern quarry, located just south of Olympia, was owned by the Kaiser Pavement Company. But the first operation, begun in 1928 and located roughly 0.6 miles to the south, was run by the McMillan Company. McMillan's quarry sat on 70 acres of almost pure Margarita sandstone and the site was perfect for quarrying. 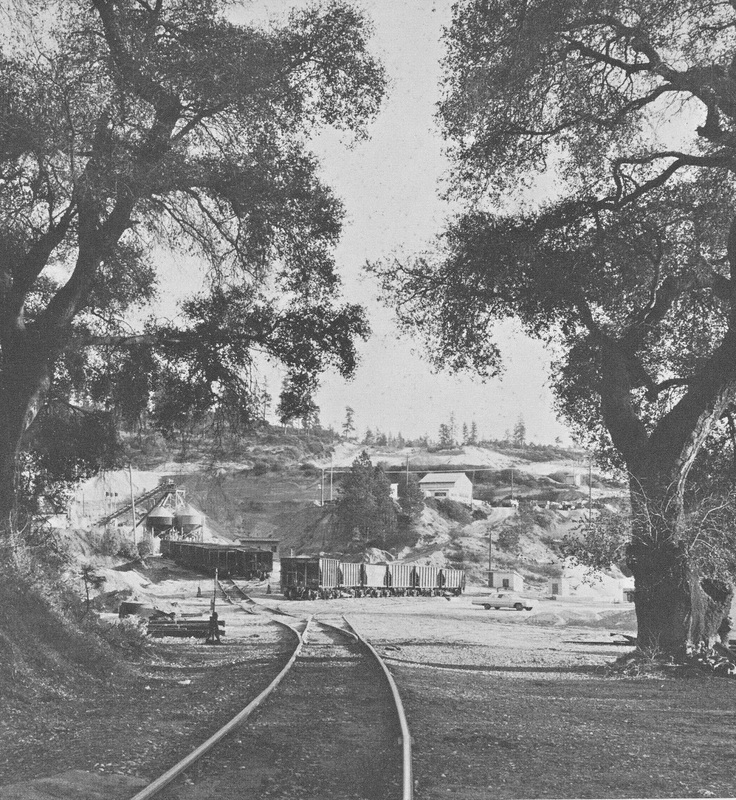 Surrounded on all sides by sand hills, the quarry could remain fairly close to the railroad tracks and, therefore, did not require as much trackage. By the early 1930s, Atlas Olympia took over the plant and attached it to its Pacific Coast Aggregates (PCA) subsidiary, which was one of the primary aggregate suppliers on the West Coast. Southern Pacific immediately capitalized on its new freight patron. Because the route through the mountains still operated at the time the quarry opened, all the spurs exit to the north, in the direction that the hopper cars would leave the freight yard. This aspect of the stop would never be corrected, even after the branch lost its northern route. The railroad installed a number of spurs to cater to the PCA facility. Immediately beside the mainline, a 435-foot-long parallel spur was installed that could hold hopper cars awaiting shipment. A de facto freight office was also installed directly across from a loading platform at the end of this spur. A shorter 350-foot-long spur broke off from the holding spur to provide additional storage for filled and empty cars. At the bottom of these, a much longer spur turned into the quarry itself, forking at the end beneath two aggregate loaders. These loaders were fed by a conveyor belt that shifted around the facility to collect sand. As operations moved into the hillsides, the loaders, conveyor, and tracks were probably moved as well. There was also a smaller aggregate dump located beside the quarry spur, although the precise purpose for this is unknown. PCA continued operating the quarry until 2002, by which time it had been purchased by Lone Star Cement Corporation (in 1965) and then RMC Pacific Materials (in 1988). 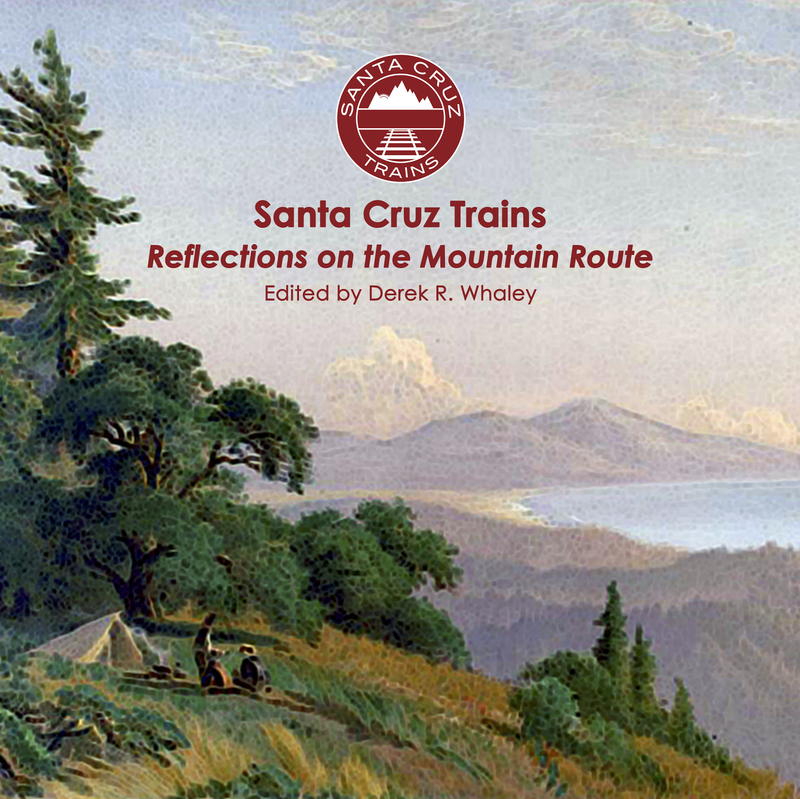 Southern Pacific convinced Lone Star to abandon usage of the railroad tracks in 1982, after a terrible winter storm that year severely damaged large portions of the track further to the south along San Lorenzo Gorge. In response, Lone Star permanently switched to shipping aggregates via truck while the mainline track was purchased by Roaring Camp Railroads. RMC was taken over by CEMEX in 2005, but the quarry had already closed by this time and CEMEX has no intention of reopening it. The property is currently undergoing environmental rehabilitation under advisement by the California Regional Water Quality Control Board. The site of the Pacific Coast Aggregates quarry is now owned by CEMEX and trespassing is strictly prohibited and not advised. The railroad tracks are owned by Roaring Camp Railroads and trespassing is likewise discouraged. All of the trackage into the quarry remains intact, although everything within the quarry itself has been buried by sand. At least one of the switches remains usable and the freight platform is clearly visible. The freight office survived in a dilapidated state until 2012, when CEMEX demolished it. To the north, the small wooden aggregates loader can be seen rotting away in overgrown bushes. Excellent. My wife and I used to hike from Roaring CAmp to end-of-track before we moved to AZ. Never saw a soul going up or back, but to close one's eyes, you could almost see a passenger train coming at you. I also was privileged to ride with a friendly engineer from Felton to Olympia in the '80's. His name was Bill, and I'm sure more than one reader knows of whom I speak.